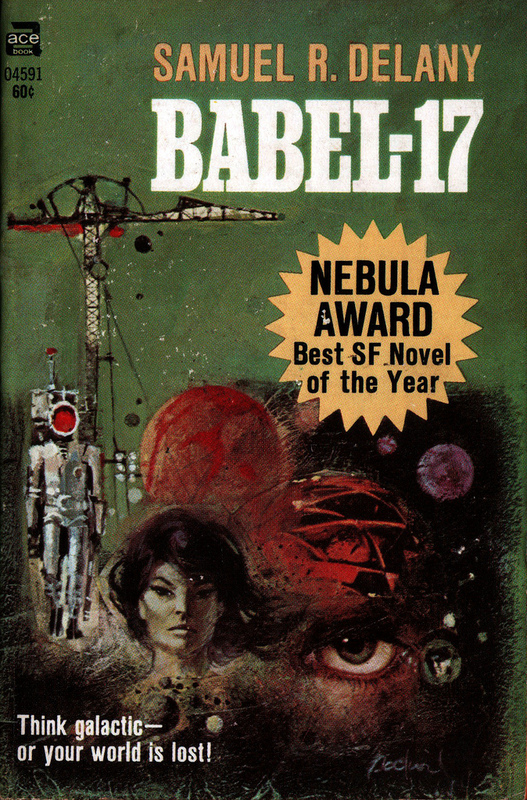 cover with the "Think Galactic"
The Evanston Public Library SF/F discussion group has been going for a year now, and I got to join them for a discussion of Samuel Delany's "Babel-17" (1966). The novel is a whirlwind of weird ideas and fantastic imagery, and is primarily fixated on language. In particular, it's an extrapolation from the Sapir-Whorf hypothesis, which is that language directly affects the perception and ability of its speakers. This hypothesis, and the idea of a new language changing/taking over the way you think and view the world, led us to comparisons with Stephenson's "Snow Crash" (1992) and Chiang's "Story of Your Life" (2000)--both excellent and often-discussed works, I should add, and the latter contains some call-backs to key scenes in Delany. We also talked about the language use in Leckie's (also frequently-discussed) "Ancillary" books, where, like the Invaders in "Babel-17", the Radch code "civility" vs. "barbarism" into the very structure of the language--and compared that to "connotation locking" in modern political terminology, for example how "pro-life" and "anti-abortion" refer to the same stance, but code the conversation very differently. This was published as a double with "Empire Star", so of a few of us had read that and discussed some of its rich literary allusions. Even in Babel-17 there's some pretty funny stuff going on, including the in-world author "Muels Aranlyde". Apparently, in the most recent reprint, there are some interesting textual things going on to represent linguistic oddities--both my old copy and the ebooks lack this, unfortunately. Compared to the comic "MIND MGMT" (2012-) by Matt Kindt, which is "drawn on" pages from in-world books. Language, and the abilities transferred by different languages, are obviously a major plot point here. We talked for a bit about the "Rydra & Butcher learn pronouns" scene, which is simultaneously really awesome and kind of comedically easy. The abilities Rydra gains from Babel-17 (and other languages) reminded me a bit of some of the "superconsciousness" and mental training from Herbert's "Dune" (1965, so unlikely to have influenced Delany), while the extreme mental efficiency granted by Babel-17 sound like some of the claims about Ithkuil, a constructed language. Talking about one of the Sapir-Whorf's few empirically-confirmed bits, differing color recognition based on language, we brought up the Radiolab episode "Colors", which is a particularly good one. help when the walls come down. We talked for quite a bit about linguistic richness (or lack thereof) in SF/F, noting that a lot of SF "punts on the contact problem" of crossing interspecies linguistic barriers through magitech like Babelfish and other universal translators. I successfully wrestled down the urge to go on a long digression about Cherryh's work on actual translation issues, for instance in her difficult, but rewarding, "Hunter of Worlds" (1977). It's also pointed out that, for a lot of film/television SF/F, there's not even an attempt to create a full language, as long as it can either be captioned or translated/responded to by another character: "we don't have to understand what Chewbacca says", because Han etc. respond so it makes sense in context. 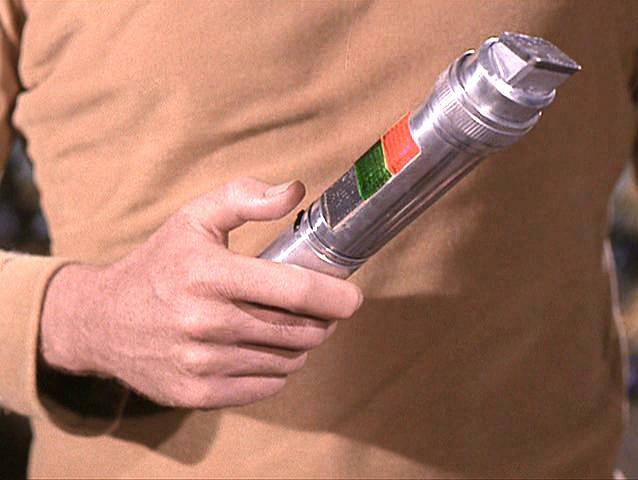 And we noted that most science fiction and fantasy alike have a penchant for made-up words to add a flavor of the exotic, without necessarily having even the slightest language to back it up. This led us to counter-examples: Tolkien of course being the most notable, with several well-developed languages; we also mentioned Dothraki from Martin's "Song of Ice & Fire" (1996-???) and its development by linguist David J. Peterson in the televised "Game of Thrones" (2011-). We also got into the use of pseudo-language invention, such as Gene Wolfe's "The Book of the New Sun" (1980-83), which makes new words using roots that will look familiar to the reader. And we talked about using made-up words to make non-inventive things seem strange, like the "Call a Rabbit a Smeerp" rule from the Turkey City Lexicon. Curiously, we also got into the reverse of that--"Call a Smeerp a Rabbit," I suppose--where writers will use a known word to describe something that we slowly come to realize is a bit weirder; the floating cat in the Night Vale Community Radio bathroom being one such example. Talked for a bit about our experience and knowledge of other earthly languages, and how that affected our belief/disbelief in this story. In particular, we talked about hard-to-grasp idiomatic differences, the difficulty of even hearing different phonemes, pitch-perfection among tonal language speakers, and Japanese pronoun use. We also talked a bit about poetry and poets' place in this novel, noting that Rydra, the main character, is heavily based on Delany's former spouse, Marilyn Hacker, who also wrote the chapter-front poems. Rydra's "poetry as telepathy side-effect" reminded me of Keats (some of his letters etc. talk about just being a kind of conduit for the poetic nature of others). We all liked the density of the weirdness in this novel--lots of strange, interesting concepts in a very short book. The temperature-centric aliens without a "home" concept, the extensive body modification, the three-way navigator marriages, and the ghosts! And we thought the whole suicide/reincarnation thing was a bit like Tinder crossed with a job-board, which is pretty funny.